Established in 1971, COTA, the Central Ohio Transit Authority, is the public transit provider for Columbus and central Ohio. According to COTA.com, ‘COTA provides more than 18 million passenger trips annually.’ Overall, COTA has over 300 buses in its fleet, including 6 hybrid-electric buses. Finalizing extensive modifications in 2016, The John Glenn Columbus International Airport, located east of downtown Columbus, spent approximately $80 million to upgrade the airport. HOW DID COTA FIND ITSENCLOSURES? 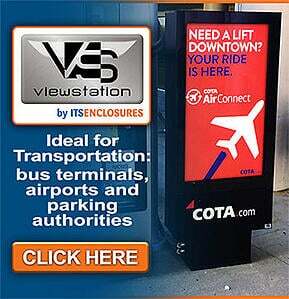 Originally, COTA and ITSENCLOSURES worked on a digital signage project in the Summer of 2014. ITSENCLOSURES was the successful bidder for a project that required outdoor LCD enclosures to be suspended in a bus terminal, housed inside of a transit center where buses frequently exit and enter. 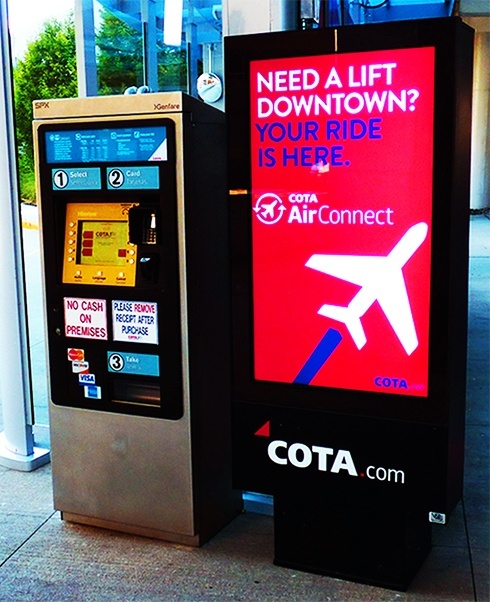 After the success of this enclosure project, COTA contacted ITSENCLOSURES, in the Spring of 2016, about installing a digital sign at one of the COTA bus stop terminals at the John Glenn Columbus International Airport. With the use of dynamic digital signage, COTA desired to display up-to-date bus schedules/routes on a high bright LCD monitor for airplane passengers traveling to downtown Columbus. The single screen LCD enclosure would be located outside of the AirConnect shelter (Service every 30 minutes - 7 days a week; Direct bus service connects Downtown and Columbus International Airport). 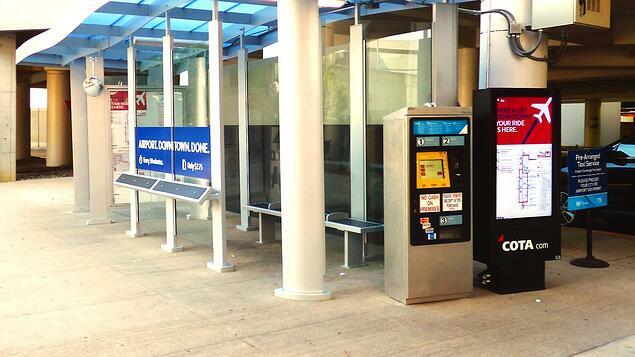 At a separate kiosk, next to the digital sign, bus passengers can purchase ride tickets. Several challenges existed, including the severe weather conditions of Central Ohio. While delivering bus schedules 24/7 to passengers, the LCD enclosure would be exposed to weather, sunlight and need to withstand the varying hot and cold climate in Columbus, Ohio. 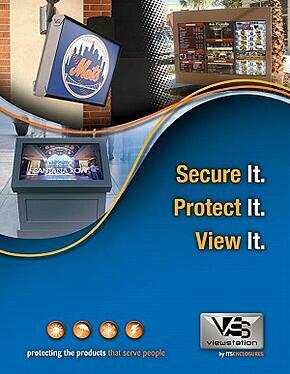 After reviewing several options, COTA made the decision to install ITSENCLOSURES’ fan cooled, 1x1 LCD enclosure. The all-weather enclosure is paired with a 47-inch high bright LCD monitor to combat sunlight/high ambient light. The LCD enclosure includes a filtered fan system and heater to ensure 24/7 operation in temperature ranges of -20° to 110°F. To reduce frequent maintenance, the enclosure uses a hydrophobic air filter, which only needs to be replaced every 3-5 years. JT Spangler, President and Owner of ITSENCLOSURES, visited the John Glenn Columbus International Airport in the Summer of 2016 to review the LCD enclosure deployment. He was quite happy with the installation and felt that it was a positive addition to the airport. COTA was also very pleased with the LCD enclosure and made the decision to install the same enclosure at various bus shelters throughout Columbus in 2017.